UNICEF Peru brought Elyx along to meet children in the Amazon forest. 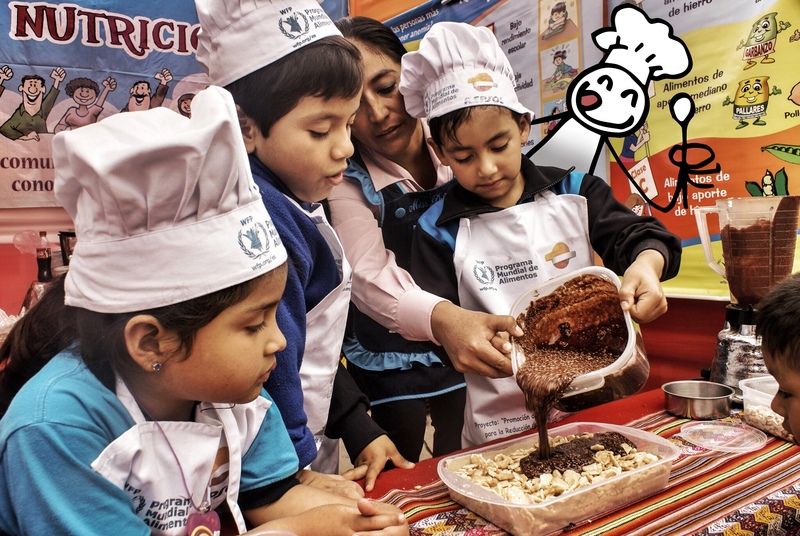 Elyx really likes food and could not miss the activity organized by the WFP Carmen Perazzo, where Peruvian children learn how to cook in order to understand the value of nutrition and food. WFP is actively engaged in Peru, attempting to constantly provide food aid and assistance while strengthening government institutions and involving local communities. 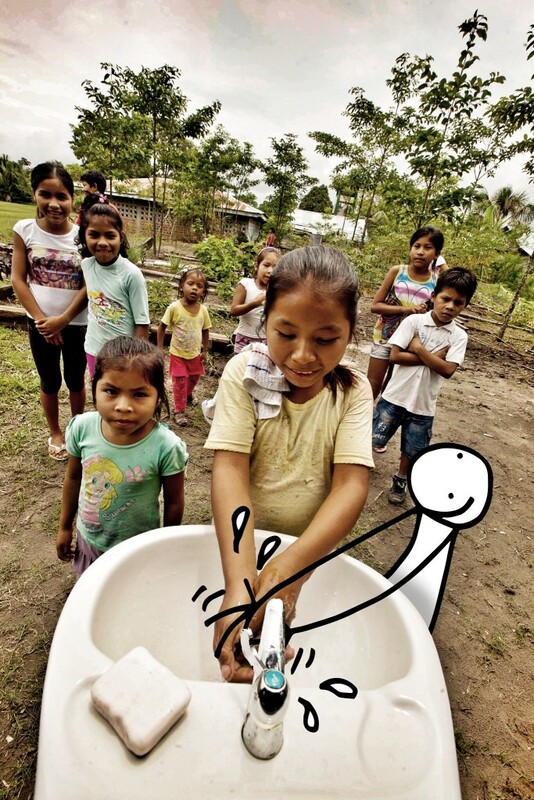 Among its projects, Elyx discovered the “MDG-F Programme: Improving Nutrition and Food Security for the Peruvian Child: a Capacity Building Approach”, aimed at reducing child malnutrition combining governmental and private sector actions. 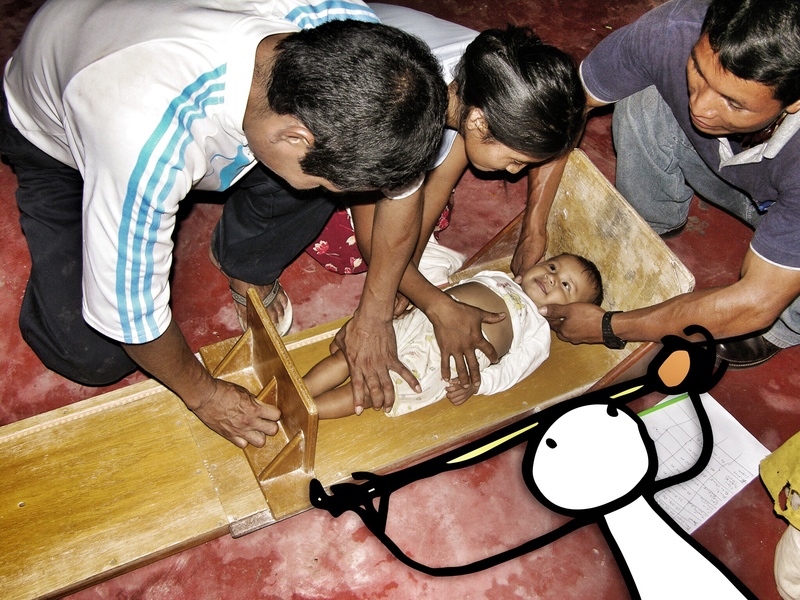 Elyx is helping with measuring the children in the Amazon forest. Elyx also took a quick trip over to Haiti where he met Patricia Osorio. She brought Elyx along to a children’s party hosted by Peru Blue Helmets. The largest contingent of Peruvian blue helmets is represented by the Compañia Peru, which operates as part of the UN Stabilization Mission in Haiti (MINUSTAH), with 372 troops. Peru joined the UN peacekeeping mission in 1958, and has since then continued to pledge its support and commitment in various countries of the world. 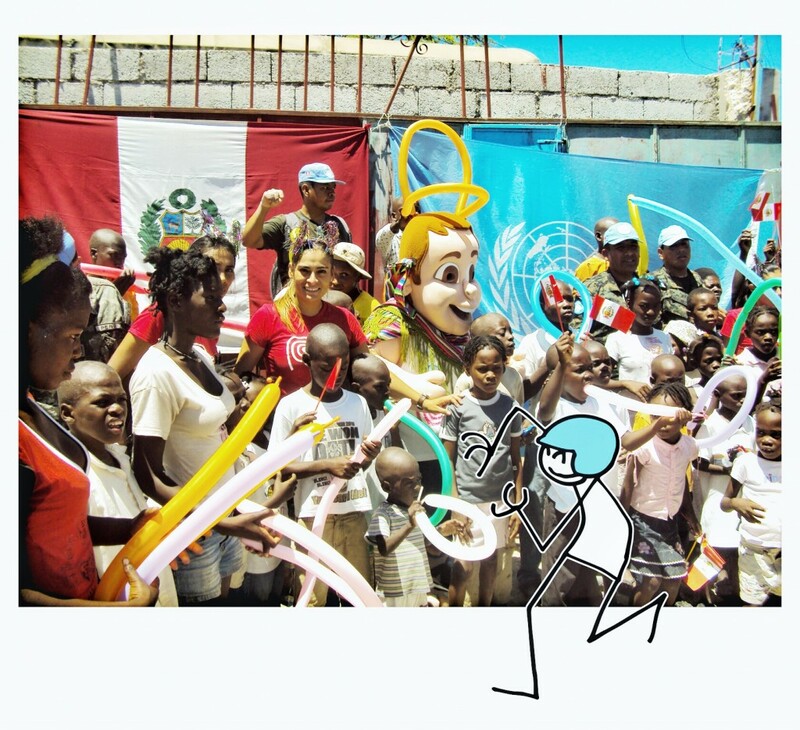 Elyx joined a children’s party organized by the Peru Blue Helmets in Haiti! To conclude the journey, Elyx, Silvia Gainza and UNIC Peru team visited a local school in Lima and celebrated the end of the first training programme against intolerance at school. Due to the growing number of bullying cases in schools, UNIC Lima has organized a series of workshops with experts who work with school students in the implementation of activities aimed at diminishing bullying among students. 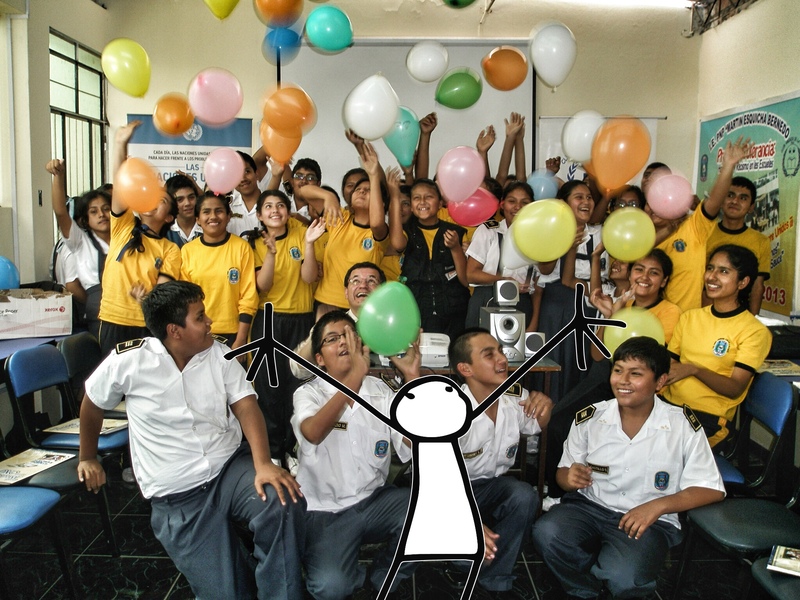 Elyx visited a school in Lima to celebrate the end of the first programme against bullying. In Peru, the United Nations system is composed of 18 agencies, funds and programmes established in the country. All these organizations provide support according to its mandate and experience, through technical cooperation projects, development of applied research and technical support for the development of national capacities. The UN in Peru works closely on issues of importance identified by the international community and the country. 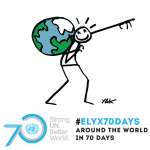 These include sustainable development, human rights, gender equality, HIV/AIDS, among others. © Some pictures of Elyx were taken thanks to Promperu, the government office in charge of the promotion of tourism in Peru.